I was a waitress for years but I knew it wasn't what I wanted to do the rest of my life. After suffering severe injuries from a car accident, I woke up to the fact that I really needed to pursue a career. I'd always been interested in the medical field and have two sisters who attended Pima Medical Institute so I decided to check it out. I found PMI to be really welcoming and I signed up for their Medical Assistant program. I remember well my first day as a very nervous and shy student. My instructors put our minds at ease and they were amazing! My dad became very ill and was hospitalized and I was spending all of my time outside of school with him. My classmates and instructors became like family to me. When I wanted to quit, they encouraged me to stay and I'm so glad I listened to them. I was really nervous going into my externship at the hospital, but I found it really rewarding. My dream was to work in the neurology department at the hospital and as I was preparing to graduate, a position in neurology opened up. I went to my interview feeling confident in my skills and was hired and even offered a signing bonus! I'm so thankful to PMI and my instructors for helping me through the program. I have a career and my dream job! I was tired of working as a server in a restaurant and wanted a real career with decent hours. As I began researching, I found PMI had the highest rated programs. Their Medical Administrative Assistant morning program was a good fit with my work schedule and responsibility caring for my two step daughters. I was very nervous to start classes. But my instructors were friendly and I loved everything I was learning. I arrived early on the first day of my externship at a chiropractic office, just like PMI taught us, and they were very impressed. The manager had to take a week off so she doubled up on intense training so I could manage the office by myself. The doctors were so incredible and helpful. During my week alone, I won over their hearts! They were so pleased with my hard work and dedication so they hired me upon completion of my externship. Soon after, the office manager ended up moving and I was promoted to office manager. My instructors at PMI both challenged me and believed in me and I'm so grateful for them! I'm not finished learning and I plan to enroll in PMI's online Health Care Administration program in the near future. Just one year ago I was a frustrated waitress. Today, I have a great career and a job I love ... and I just received a raise! 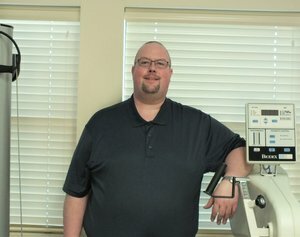 I chose PMI's Respiratory Therapy program over the others I visited because it was an established program, had a great reputation, and it just felt like a fit for me. Once in the program, I was impressed by the way my instructors focused on making sure I truly understood the material. I felt better understood by my PMI instructors than I ever had at the university where I'd previously gotten my bachelors degree in dietetics. I had a really good clinical experience at a top notch facility where I was mentored by great clinical preceptors. I discovered my passion while doing my rotation in the Pediatric ICU of Children's Hospital. I applied for a position there, and a short time later became the lead respiratory therapist in the Pediatric ICU. I recently took on a new position as a flight respiratory therapist with the newborn/child transport team. This job has been my goal since my initial interview at PMI when I heard about flight respiratory therapists. Seven years later, I have my dream job. I think one of the biggest things PMI prepared me to do was to continue to learn. My first instructor, Amy Brown, told us the first day that you'll learn 10% of what you need here, the other 90% is out there. PMI sets you up to continue learning and teaches you to think critically. This program is second to none! I was a high school dropout with no desire to ever get my diploma. I never saw the value in education or what some piece of paper could do for me. That all changed with the news of a baby on the way. My priorities changed and I thought about the things I wanted for my children. How could I expect them to do well in school when I hadn't? I passed my GED and went into retail management. Everything was great until I hurt my back and needed surgery. After three surgeries, I lost all hope of ever being able to provide for my family again. I was disabled and my wife had taken on the role of provider. 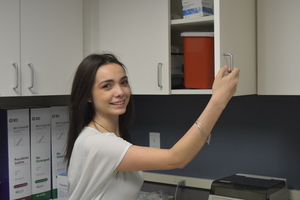 She needed to find a job where she could make more money, so she started looking into school. I joined my wife on her admissions interview at Pima Medical Institute, talked with the admission's counselor, Frank Pignone, who encouraged me to also begin a medical career. He was an inspiration and started me on my path to success. The instructors taught me and inspired me to strive to be my best. Nothing was going to get in the way of my education. I was able to maintain perfect attendance and achieve director's honor roll with a 4.0 GPA. I am proud to say that as a graduate of Pima, my wife is now on the same path and I plan to continue my education by getting my bachelor's degree. Thanks Pima! All of my jobs had been in retail including 8 years at Nordstrom. After being laid off, I tried community college; however as a mom of a young son, I was still searching for the right career fit. I enrolled at PMI. I had great instructors. It was a family environment, and everyone was approachable. I worked part-time for a psychiatrist while I was in school and after I graduated. Eventually I worked in a variety of medical specialties; internal medicine, pulmonary, dermatology, plastic surgery, and I also continued my education. When I heard PMI had opened a campus in Renton, I applied for a position as an instructor. 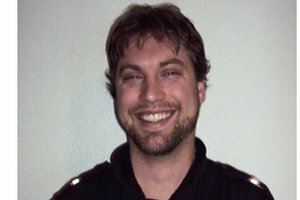 I worked as an evening instructor for a couple years, and then returned to the field to expand my knowledge in different settings. Several years later I was excited to be able to come back as a full-time instructor at the Renton campus. I can relate to my students, because I know what it's like to be in their shoes. I know what it takes to juggle life, work, and school. I challenge them to set goals, and I encourage them to continue their education. I hope to complete my bachelor's degree soon and plan to continue on to get my masters in Health Care Administration. I remind my students regularly that we should never stop learning. I learn from them all the time! 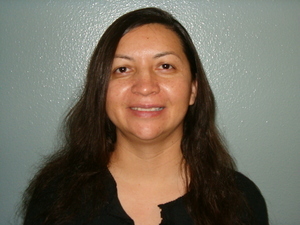 Theresa Romero-Diaz CDA Albuquerque Campus 2014 During my childhood, one of my favorite places to go was the dental office. The memories stayed with me. In 1989 I saw a classified ad for PMI, which led me to the admissions office and a career as a Dental Assistant. As a student, I had many challenges; I had to take my son to the day care, I didn't have a car and I relied on public transportation to get to school. I was pregnant during school and when my daughter came early, I had to go on a leave of absence. When I returned to school, I was able to continue my honor roll status. My instructors motivated me, and I really enjoyed learning. After graduation, I worked for several years as a Dental Assistant and enjoyed every minute. In 1993, I returned to PMI as an instructor and have been here ever since. It is easy for me to identify with many of my students, and I constantly get the opportunity to help others become successful. 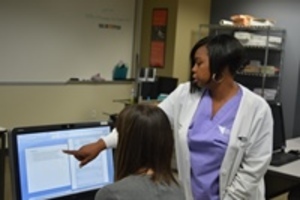 Some of my students have become Dental Hygienists and even Dentists, and I am extremely proud of them! I give thanks to Pima Medical Institute and to God for giving me the opportunity to be a part of a wonderful organization. 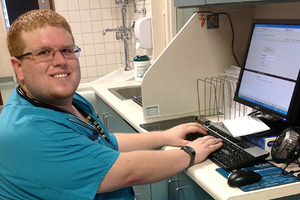 I am currently a student in PMI's online Health Care Administration program. I worked as a Veterinary Assistant for several years in Montana. At that time, there were no laws that required professional certification in my field. In addition, there were no AVMA accredited schools in Montana, which would enable me to further my education and move forward in my field. In order to make ends meet I was working three different jobs. Then, I heard PMI was starting a Veterinary Technician program in Dillon. I applied immediately and began my studies as a student in the second class to ever attend the brand new campus. 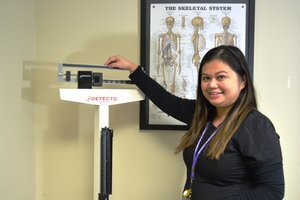 The consistency of the program schedule allowed for me to continue working at two of my jobs and eventually, I was hired at my first clinical site. 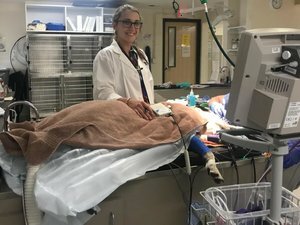 Six months after graduation, I accepted an invitation to work at PMI as a lab assistant; then one thing led to another, and I was offered a full-time teaching position in the Veterinary Assistant program. My instructors, Dr. Jan Winderl, Trisha Stone, CVT, and the "do it all lady", Melissa Gordon, have built a strong, positive, tight-knit community which made my decision to teach an easy one. I am excited to see where I will go with PMI. I learned from the best and I can't wait to become an awesome instructor! The road to becoming a Physical Therapist Assistant started with my desire to have a marketable career where I could help others every day. After doing my research, I found PMI offered a relatively quick and hassle-free path towards my new career. Having previously gone through some basic education courses in college, I appreciated the format of the program and the ease of not having to manage little things like scheduling classes, finding books, and trying to navigate a large campus. Progressing through my PTA program was probably the most challenging endeavor I have taken on in my life. It seemed like every day brought something new that was outside my comfort zone and challenged me to work harder to achieve my goals. The camaraderie and support of my classmates helped a lot. It was great to see the changes and growth that we all went through during our time at PMI. After graduation, I took a job at an outpatient clinic in New Mexico where I grew professionally. I became involved in the local chapter of the APTA and later served as the NMAPTA PTA Caucus representative. I recently completed my Bachelor's in Health Care Administration through PMI's online program and hope to start working on my Master's soon. My experience at PMI gave me the solid foundation I needed to pursue even loftier career goals. I am a good example of just how much an education can change the course of one's life. I had been working in both electric retail and bank retail but wanted a health care career when I heard the commercial for Pima Medical Institute. I have family members who are nurses and physicians, and I have always wanted to be part of that history, but I have a fear of blood and needles. I decided now was the time to face my fears and I enrolled in the Medical Assistant program at PMI. There were many obstacles for me to overcome and school did not come easy. I had graduated from high school in the Philippines and English is my second language. In addition, I was busy working full-time and attending evening classes. My husband helped with my fear of needles by visiting me at PMI allowing me to practice on his arms. 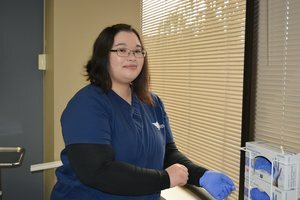 Thanks to the excellent PMI instructors, the hands on practice with my husband, and the support of my classmates, I was able to overcome my fears and become a successful Medical Assistant! I work for the University of Washington Eastside Specialty Center in various specialties. I enjoy my job and they value me as an employee. I am now taking prerequisites toward my nursing degree. My manager is very supportive of my career goals and is helping arrange my work schedule to accomplish my goals. I owe a huge thanks to my husband and his never ending support. But, I would not be where I am today without PMI. From the smiles at the front desk, to the guidance of admissions and financial aid, to my amazing instructors, to the career services counseling: they are the reason for my success!